Written by Steve Taylor, President or the Collegiate Running Association. 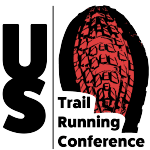 The Collegiate Running Association is an ATRA partner. 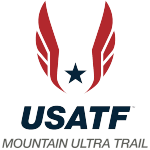 The Loon Mountain Race served as both the USATF and Collegiate championship race; Three Collegians earn spot on 2016 U.S. Mountain Running Team. The third Collegiate Mountain Running National Champions were crowned as part of the 2016 Loon Mountain Race in Lincoln, New Hampshire on July 3, 2016. The Loon Mountain Race also served as the US Mountain Running Championships and was the only team selection race for the upcoming World Championships in Sapareva Banha, Bulgaria. The top six men and top four women automatically qualified for the US Mountain Running Team and the top three male and female college students split a $3,000 prize purse for their efforts making the competition fierce and competitive in both races. A record number of entries and participants were on hand for the races, including 52 college students representing more than 40 colleges and universities from across the U.S. This is more than double the collegiate participation from two years ago when the first Collegiate Championships were held in Lincoln. For the roughly 600 runners who entered, the terrane gained intensity until the very end when participants reached the top of the mountain after completing the infamously steep Upper Walking Boss section of the course (an average 40 percent grade!) and 3,100 feet of total climbing. The Collegiate Running Association (CRA) provided $3,000 in prize money specifically reserved for college students who were enrolled in at least 1 college course at any level (undergraduate, graduate or post graduate) between January 1 and the day of the race. For the first time the men and women ran an identical course and competed in a 10.6K climb with the final 1,000m ascent, fittingly called “Upper Walking Boss,” reached inclines in excess of 45%. Known in the running world as a race to put on your “bucket list,” competitors agreed that the Loon Mountain Race met every expectation. Nearly ideal temperatures of 60 degrees greeted runners at the start of the 8AM men’s race, and as a result there was little hesitation among the field as the competitors charged the course at a blistering pace early on. The gradual climbs of the first three miles contributed to a quick pace as our nation’s top mountain runners, including 2015 Collegiate Running Association’s Male Athlete of the Year and alumni Joe Gray, and top collegians attacked the course. Along with our nation’s best, new-comers Hayden Hawks (Southern Utah) and Matt Daniels (Adams State) quickly took advantage and separated from the rest of the collegians in the field. With impressive track credentials, including 13:50 5K’s, both looked to be contenders in both the collegiate and open races. Though neither Hawks nor Daniels had run a mountain race before it did not show on the course as they battled and settled in early into 2nd and 3rd within the U.S. Championships race and leading collegians. As they passed the upper gondola, at the 5 mile point, Hawks held a slight lead over Daniels but it would be the famed Upper Walking Boss, a 1,000M wall of mountain, where Daniels would catch, in his words, a “second wind” passing Hawks to secure the title. As he climbed the Boss to his first Collegiate Running Association title and the $750 prize for his win, he would also secure a spot on the U.S. Mountain Running Team (USMRT) with his 3rd place finish in the USATF Championships with a time of 50:36.7. Hawks, a fighter to the end, closed out the course to finish second among collegians and the $500 prize provided by the Collegiate Running Association, and also secure a spot on the 2016 USMRT with his 4th place finish within the USATF Championships with an effort of 50:49.2. Third among collegians was Justin Keefe (University of Richmond) in 55:23.0, who claimed $250 for his efforts. Keefe, a triathlete by trade who won the Cohasset Triathlon the weekend before, ran an impressive race over the final 2.5 miles pulling away from Richmond teammate Tim Gruber who placed 4th (56:06.8). 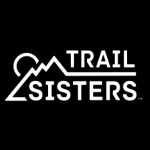 There was also a strong collegiate women’s field with Mary Ballinger, Amanda Lee, Mandy Ortiz, Bethany Sachtleben and Taylor Ward all prerace favorites (link: http://www.collegiaterunning.org/#!2016-mountain-race-preview/ixl2a). Ward, who competed in the 2016 U.S. Olympic Trials (Marathon), and Ortiz, who is the 2013 World Junior (U20) Champion were considered two of the heavy favorites going in to the race but this day was owned by George Mason University graduate, Bethany Sachtleben. Sachtleben, a NOVA graduate student, took command of the race from the gun leading both the U.S. and Collegiate Championships races through 4.5 miles. Sachtleben, who placed 2nd in both the 2015 CRA Trail Championships and 2016 CRA 10K Road Race Championship, used a fast start on the lower, flatter section of the race to build a huge lead on the collegiate field and was never challenged winning in 58:16.4. Along with being named the Collegiate Mountain Running National Champion, Sachtleben earned $750 for being the first college finisher, plus $500 for placing 2nd in the U.S. Championship. Ward, a graduate student at Weber State, claimed second among collegians in 1:04:46. Her efforts netted her $500. Boston University graduate student Amanda Lee claimed $250 for third among collegians in 1:07.21. Visit the Collegiate Running Association to become a FREE MEMBER and learn more about their mission of promoting healthy lifestyles among college students. The Collegiate Running Association is a non-profit (501c3) organization and all contributions are tax deductible.